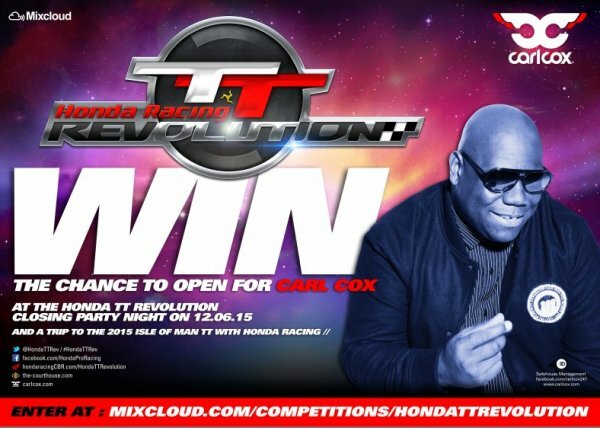 Aspiring DJs will have the opportunity to open for Carl Cox, one of the world’s most successful DJs, for one unforgettable night, as the Honda TT Revolution returns to the Isle of Man TT for an unforgettable week of racing and music. Last year’s inaugural event saw internationally renowned DJs Carl Cox and Danny Howard headlining both the opening and closing parties, adding a new, youthful dimension to the history steeped race. Held in conjunction with Mixcloud, fans will be able to upload a short mix of their own making for a chance to share the stage in an exclusive closing party after the Senior TT on Friday 12 June. To be in with the chance of stepping behind the decks, entrants can submit an original mix at mixcloud.com/competitions/HondaTTRevolution before 4 May, encouraging their friends and fans on social media to listen and like it. The more likes and listens their mix receives, the greater chance they have of being shortlisted by our panel of judges, before Carl selects his favourite. The lucky winner and guest will be flown to the Isle of Man on the penultimate day of racing as a Honda VIP where they can get a taste for the sights and sounds that make the TT one of the most unforgettable events on the sporting calendar, before opening for Carl on the final night. The Isle of Man TT is a motorcycle race like no other, with over 100 years of drama filled, exhilarating racing, held along the Island’s picturesque streets and mountain roads. 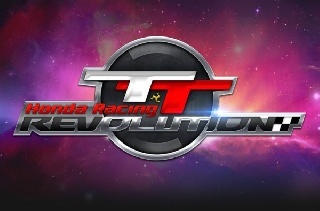 The Honda TT Revolution closing party will take place at The Courthouse, Douglas on Friday 12 June. Tickets will be available for sale from April.